I like peg dolls. There are so many ways to use them! So I was thinking why is there no Maria Montessori peg doll? I have a friend Sarah from The Silvan Reverie who makes fantastic dolls (Be sure to check out her store!). I asked her if she wants to make a Maria Montessori peg doll and she agreed! So I got several of them to make a huge surprise for you! THE GIVEAWAY IS CLOSED. THE WINNERS ARE Amy Payne and Talke Beckendorf. Congratulations! Look how beautiful it is! I want to give away 2 of them here for you! 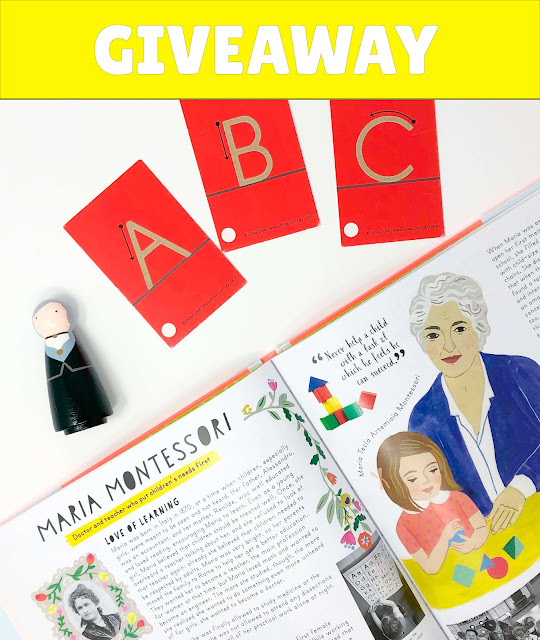 How can you use this Maria Montessori peg doll? I will choose the winners on Monday, January 14, 2019. Winners will receive an email. Do you want to increase your chances? Then go to my Instagram and enter in there too! I am giving away 3 more in there! Let's add a little bit of fun math to our December! Number clip cards are a great way to train counting and number quantity. Children can practice counting the objects on the cards and relate this to the number symbol on the clothespin. Clothespins add extra fine motor practice to this. Such activities are great for developing little hands. This is an indirect preparation for writing because it helps children to get a proper pencil grasp. This printable will be a perfect addition to your Montessori math area, math shelves, or math unit. You can then add different Christmas related small objects to this activity to make counting even more fun. 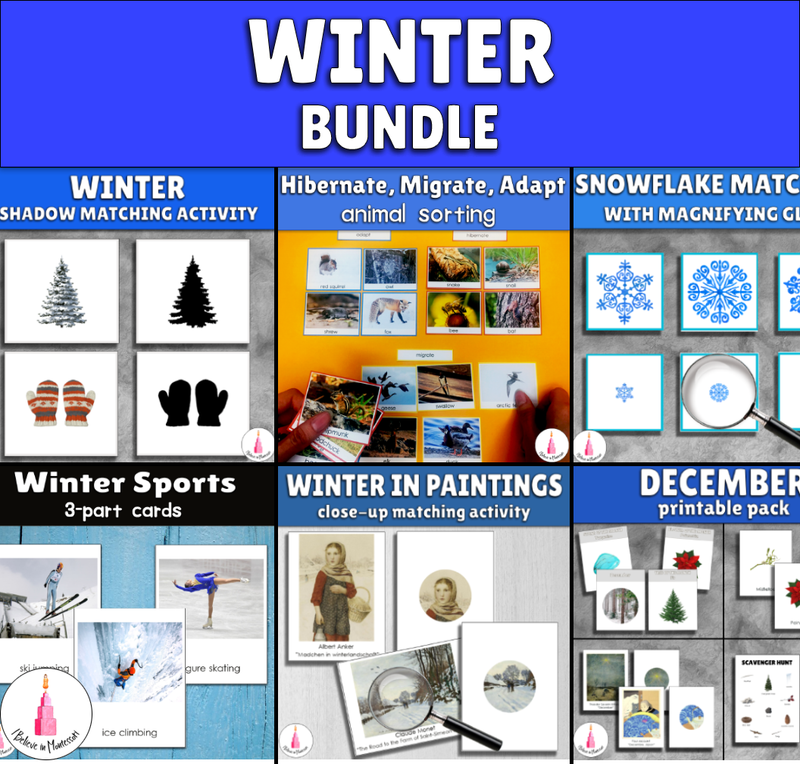 This activity is good for Montessori 3-6 classroom, preschool, prekindergarten and kindergarten students. Learning about coniferous trees is a great theme for winter. 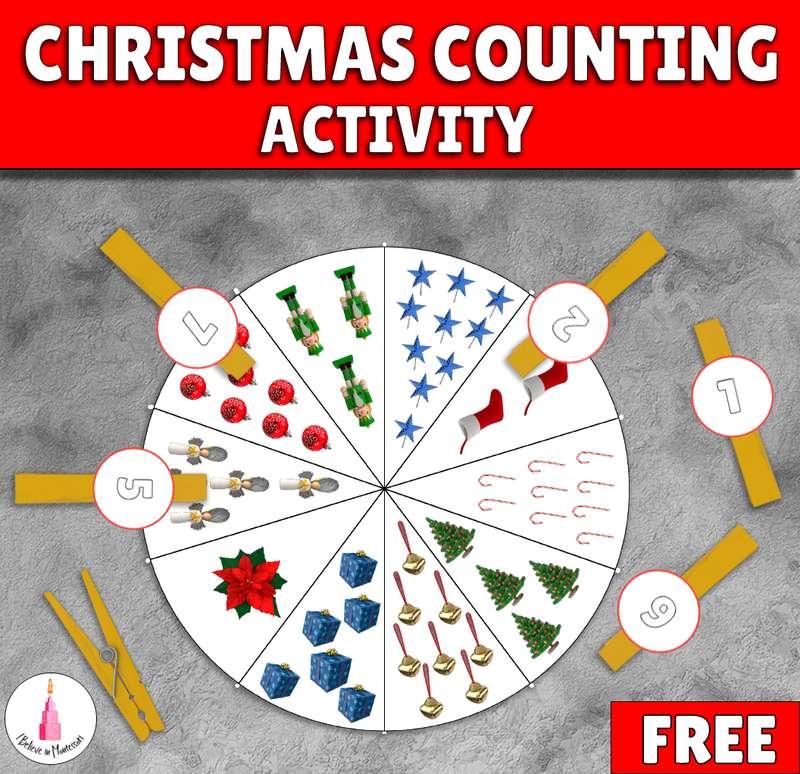 This fun math counting activity is very interesting for children. They like finding the cones on the card and counting them in their real natural environment. These cards also train the child's observational skills. This printable will be a perfect addition to your Montessori math area, math shelves, or math unit. 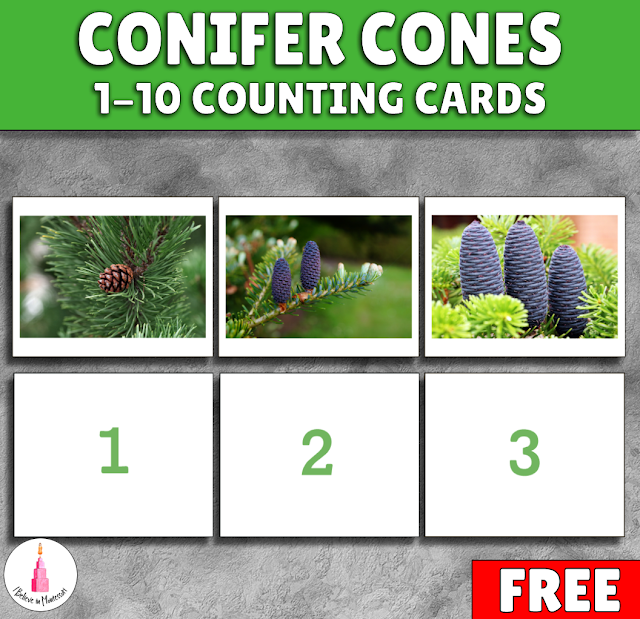 You can then add little real conifer cones to this activity to make counting even more fun. This activity is good for Montessori 3-6 classroom, preschool, prekindergarten and kindergarten students.